(Tomdispatch.com) – – Face it: it’s been an abusive time, to use a word he likes to wield. In his telling, of course, it’s he or his people who are always the abused ones and they — the “fake news media” — are the abusers. But let’s be honest. You’ve been abused, too, and so have I. All of us have and by that same fake news media. Never, not ever, has a single human being been so inescapable. You can’t turn on the TV news, read a newspaper, listen to the radio, wander on social media, or do much of anything else without almost instantly bumping into or tripping over… him, attacking them, praising himself, telling you how wonderful or terrible he feels and how much he loves or loathes… well, whatever happens to be ever so briefly on his mind that very moment. And if that isn’t really almost too obvious to write down, then what is? Still, just briefly, let’s try to take in the obvious. Let me put it this way: never, not since Adam or certainly Nebuchadnezzar, not to speak of Eve or Cleopatra, has anyone in history been so unrelentingly focused upon or mercilessly covered — so, in a sense, fawned upon (and, of course, “abused”). In the past, I’ve labeled what we’re living through “the white Ford Bronco presidency” because, for the last nearly three years, the media has covered him as if he were indeed O.J. Simpson in that car fleeing the police over his wife’s murder, as if, that is, there were nothing else on Earth worth gluing our eyeballs to, and not as in O.J.’s case for a relatively few hours, but for what already seems like an eternity. In a way, this is the simplest piece I’ve ever written, because whoever you are, wherever you live in this country (or possibly on the planet), whatever you think of him, positive or negative, you already know all of this. You’ve already discussed it with your friends. You’ve certainly wondered what would happen if the mainstream media suddenly stopped attending to Donald Trump — and oh yes, I hadn’t mentioned his name until now, because why bother? You never had a doubt, did you? My guess on the effect of such a withdrawal of coverage: he’d shrivel up and die. Your guess may be different, but it doesn’t matter because we’re clearly never going to find out. Even the recent presidential decision to take away CNN White House correspondent Jim Acosta’s press pass — doctored video of his behavior and all — after a distinctly abusive press conference (“I’ll tell you what: CNN should be ashamed of itself having you working for them. You are a rude, terrible person. You shouldn’t be working for CNN”), was only the cause for yet another deluge of coverage. None of Acosta’s media compatriots, not even at CNN, decided, for instance, to protest by refusing to cover another White House event until he got that pass back (though CNN is suing the Trump administration). None of them evidently even seriously considered closing the door, shutting the gate, turning their backs on you-know-who. That clearly is the twenty-first-century media version of thinking about the unthinkable. Honestly, who doesn’t talk about all this in the face of a presidency that’s in your face, all our faces, in a way that no other president, emperor, king, autocrat, dictator, movie star, celebrity, or [feel free to fill in whatever I haven’t thought of here] has ever before been. His every phrase, tweet, complaint, bit of praise, parenthetical comment, angry snit, insult, or even policy decision is reported, discussed, gnawed on, considered, reconsidered, yakked about nonstop, hour after hour after endless hour, reshown in clip after repetitive clip. This is, in short, a unique historical experience of ours and ours alone. How could we not talk about it all the time? Here’s the only catch in the non-stop coverage of Donald J. Trump (2015 to 2018 and beyond): that same mainstream media that can’t get enough of him, that eats up and gnaws on his every odd phrase, gesture, act, or passing thought, is essentially silent on only one thing: the coverage itself. The most obvious subject in the world — not him, but the thing that keeps him going, that keeps the whole ship of state more or less afloat at this point — the unprecedented focus on him just doesn’t seem to be a subject fit for significant coverage, even though it’s a commonplace in our conversations out here in what still passes for the real world. We may regularly roll our eyes, but the mainstream media programmatically never does. Not in public anyway. And as was true from the beginning of the Trump era, from the New York Times and Politico to the Atlantic magazine, media outfits have hired yet more people to cover… well, Donald Trump (and not just from Washington either) and ploughed right on. But do they cover themselves? Hardly. Media critics inside those mainstream companies have become an ever rarer species. The New York Times, for instance, let go of its “public editor” in May 2017 and left it to perhaps random tweeters to handle how the paper was covering anything. And that’s been typical. Or put another way: there’s really only one media critic left in the mainstream world — and you know just who he is! (A typical tweeted comment of his: “A very big part of the Anger we see today in our society is caused by the purposely false and inaccurate reporting of the Mainstream Media that I refer to as Fake News. It has gotten so bad and hateful that it is beyond description. Mainstream Media must clean up its act, FAST!”) And sometimes that criticism couldn’t be more personal. (“Loser,” he recently called White House reporter April Ryan. “What a stupid question that is,” he said to CNN’s Abby Phillip. “What a stupid question. But I watch you a lot, you ask a lot of stupid questions.”) I’m referring, of course, to America’s media-critic-in-chief now in residence in Washington, D.C., when, of course, he isn’t out in the provinces getting a little love from his adoring “base” in those endless rallies for the midterm elections and, of course, the ones for the 2020 campaign, which began long ago. And naturally enough, the “fake news” reporters can’t cover those rallies enough or discuss them and what he says at them more often. But again, there’s one catch, one lacuna, in all this. They almost never cover Donald J. Trump’s rally of rallies in that same analytical and dissecting fashion. I’m thinking, of course, of the rallies that truly keep him going — and by that I mean his endless set of interactions with… yep, the media. After all, without being eternally in their glowing spotlight, without that endless coverage of everything him, what would he be? In a sense, those hordes of reporters crowding into his world are his most adoring fans (even if many of them may loathe him personally). They may not literally bathe him in love (as his fans in those stadiums do), but they certainly bathe him in what he loves most, what clearly keeps him up and running: attention. And from each of those media “rallies” of his, however small, however impromptu, however angry or insulting, no matter the nature of the words exchanged, he clearly comes away feeling clean as a new-born babe (though they perhaps feel dirty as… well, who knows what). It may not be a love affair, but it certainly is an affair to remember. And despite the fact that his official news conferences may be rare, he manages to meet the press (to use a thoroughly outmoded phrase) constantly and in ways too numerous to mention. I’m sure you won’t be surprised to learn that he’s taken more questions from reporters — even if he’s regularly mangled and shredded them — than all our recent presidents (except that other classic narcissist, Bill Clinton). “The President: I do, too. Actually? I do, too. “Q: Yes. It’s vital to democracy. Let’s be clear: Donald Trump is no fool. He knows that he’s got not just a knack but the knack for accruing “earned media” — that is, unpaid for publicity and advertising. Estimates were that he got a staggering $5.6 billion of it during his 2015-2016 election campaign and, exactly as he implied in that knowing aside, it’s never ended. And yes, it is “vital” to him, if not to “democracy.” Think of him, in fact, as President Earned Media. Since we are talking about a mutual affair, however, the opposite is also true: Donald Trump is the media’s version of… at the risk of being completely repetitious, earned media. No one’s put it better than former CBS head Leslie Moonves — recently taken down by the #MeToo moment — during the 2016 election campaign. “It may not be good for America,” he said, “but it’s damn good for CBS.” He added, “The money’s rolling in and this is fun. I’ve never seen anything like this, and this [is] going to be a very good year for us. Sorry. It’s a terrible thing to say. But bring it on, Donald. Keep going.” And, as we all know, Donald did. Keep in mind that the media had been thrown into chaos and confusion by the growth of the online world of the Internet, as many news businesses faltered and staff cuts were widespread. How convenient, then, to stumble upon such genuine human clickbait, someone on whom you could focus your attention so relatively cheaply and profitably. So much for covering the world, a distinctly expensive proposition! Talk about bargain basement candidacies and presidencies! From the moment he descended that escalator in Trump Tower in June 2015, Donald Trump became the media equivalent of a freebie — someone viewers and readers just couldn’t help watching, hearing about, reading about. It was like stumbling on a gold mine in the desert. 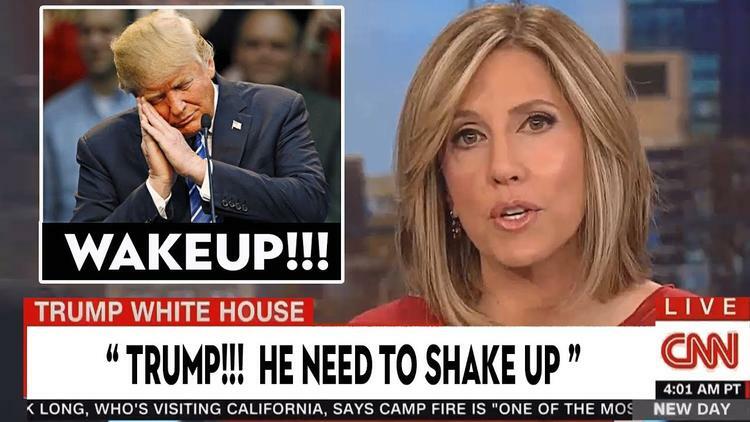 As it turned out, Americans were indeed ready to have the talking heads of CNN (now the president’s eternal punching bag), MSNBC, and Fox News yammer on hour after hour, day after day, about him and only him. It was, in its own way, a genuine miracle for news companies that had found themselves up against the wall and it couldn’t have been more real, or — as, at some level, Donald Trump himself grasped — more fake. Put it all together and you can understand how a major Trump rally — oops, I mean that post-election news conference of his — actually worked. But first let me take a moment, in truly Trumpian fashion, to thank myself on your behalf. Like you, I watched clips of that news conference. Then I did all of you a favor and actually read the whole 17,000-plus words of it, one hour and 26 minutes worth of his and their words, so you wouldn’t have to. And believe me, it was quite a performance as the president called on/ignored reporters desperate to get his attention, insulted them, spoke with them, spoke against them, spoke over them (“We are a hot country. This is a hot White House…”), spoke around them, described them (“I come in here as a nice person wanting to answer questions and I have people jumping out of their — their seats, screaming questions at me…”), wandered away from them, wandered away from himself, ignored or didn’t answer their questions, was incoherent for significant stretches of time, or couldn’t even hold onto a thought. And by the way, the reporters there more than matched him (“One, I was tempted to ask you why you like Oprah so much, but I think I’ll go on to the question that…”), blow for blowhard (“Based off of that, how would you say, over the last two years, God plays — what kind of a factor He plays in the day-to-day execution of the Office of the Presidency?…”). Read the whole thing and you’d have to be struck — even by the less-than-soaring standards of past presidential news conferences — by how little (with a bow to Gertrude Stein) there there actually was there. The president’s incoherence was remarkably well matched by the dreariness of the generally expectable, largely thought-free questions he was asked on a limited set of topics. At that point, the president promptly interrupted to respond: “I don’t know why you’d say that. That’s such a racist question.” (Something he’d then repeat twice more.) The pure chutzpah of that response should have taken anyone’s breath away, but it was also a reminder of the strange sense of freedom Trump feels to say anything in the presence of the media, including mocking or insulting three black female reporters at that news conference. And this can only happen again and again and again. It’s hard not to feel that we are all now eternally watching two sets of addicts who simply can’t exist without or get enough of each other. It tells us so much about our twenty-first-century Trumpian world that anyone in that press corps would wish for more of the same. I have a feeling that somewhere in all of this someone, maybe Bob Mueller, should indict all of them for fraud. In the meantime, the rest of us remain in a world wallpapered with Donald Trump, a world in which the fake news media, which is his truest “base,” just can’t get enough of him.